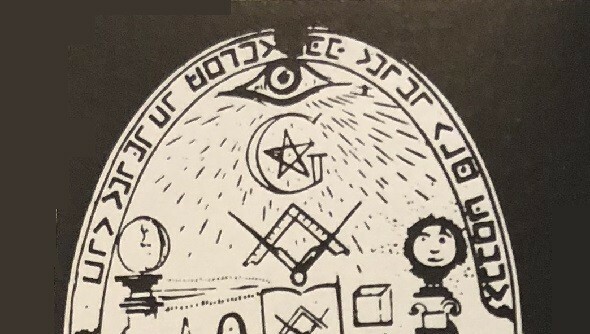 Who can decipher these inscriptions on a Freemason medal? 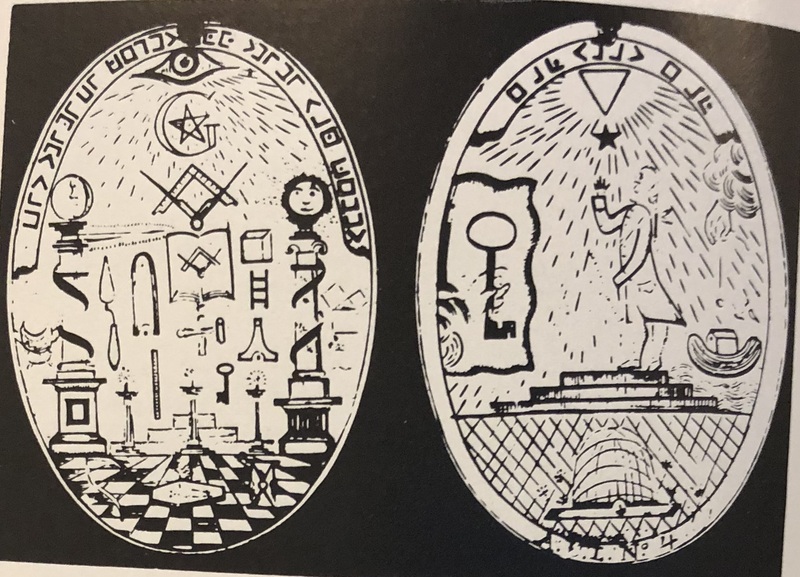 A medal that is depicted in a Freemason document from 1952 bears two encrypted inscriptions. Can a reader decipher them? 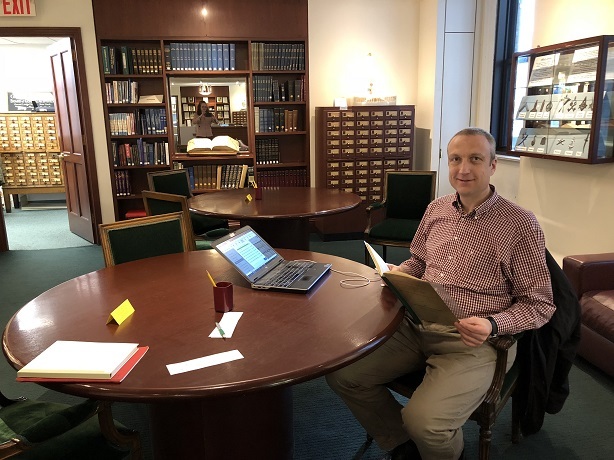 Four weeks ago, before I attended the Charlotte International Cryptologic Symposium, I had the chance to visit a number of museums, libraries and archives in New York and Washington. One of the highlights was the Livingston Masonic Library on the 23rd Street in Manhattan. 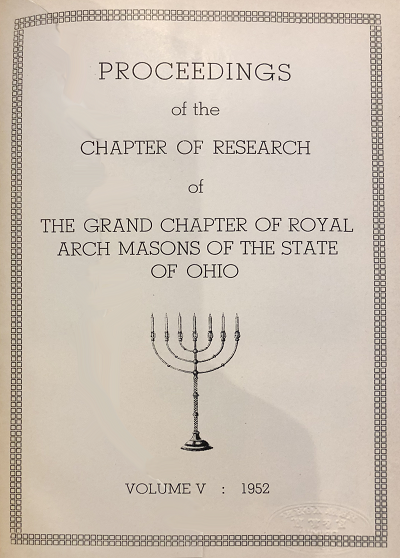 There I spent a few hours searching for documents about Freemason ciphers. 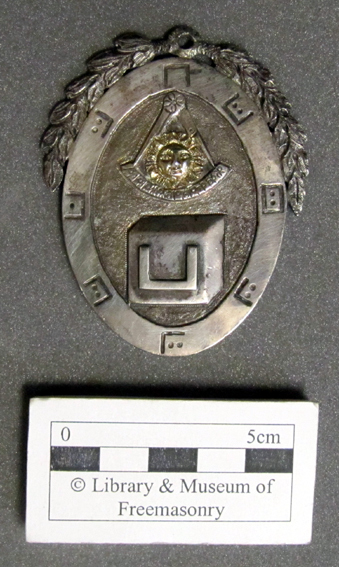 According to the booklet, this is an “old Masonic medal found in Norwich, Connecticut”. I have no further information about it. On both sides, this medal bears an encrypted inscription (at the upper edge). It is easy to see that the encryption system used is a variant of the Pigpen cipher, which used to be very popular among the Freemasons (it is sometimes even referred to as “Freemason cipher” or “Freemason alphabet”). Can a reader break these two inscriptions? Now, let’s see whether a reader will find out how the Pigpen cipher used to encrypt the inscription of the medal from Connecticut works. Thanks, Thomas! 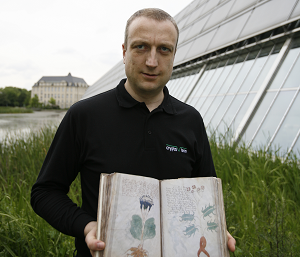 Another cryptogram solved. I will put Deerfield, MA, on my Cryptologic Travel Guide.